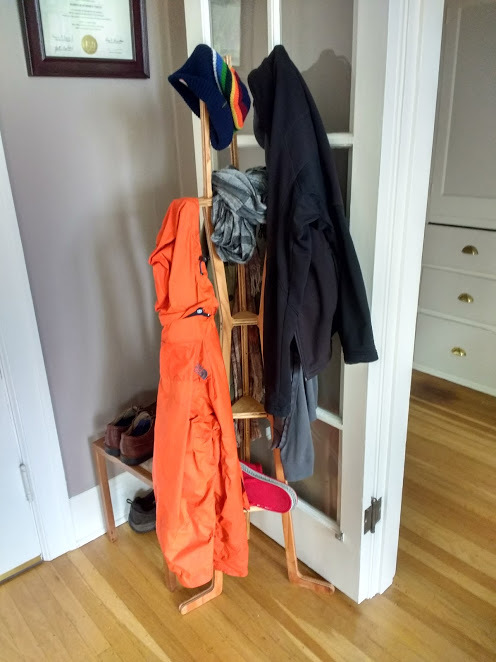 I wanted a coat rack which looks like Sutro tower in San Francisco! 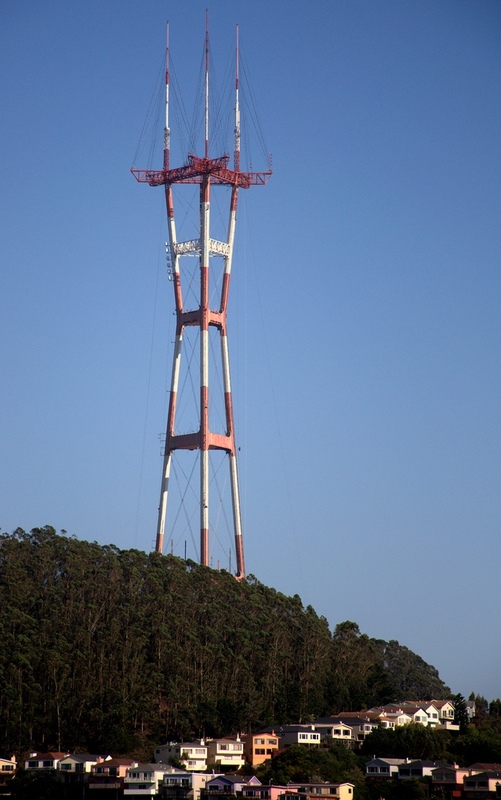 Everyone from San Francisco will know that the Golden Gate Bridge is for tourists, the real symbol of The City is Sutro Tower, a radio tower on the highest hill in the city which is visible from almost every neighborhood. Out of nostalgia for The City and a genuine need for a coat rack I built a scale model of the tower this week to hold my hat. 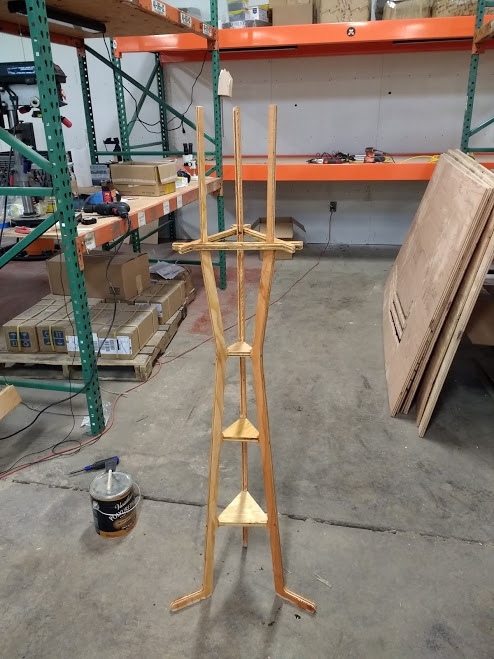 This coat rack was one of the first things I made and I would really like to revisit it because I think I could design it better now. Assembly is pretty much self explanitory. The three side parts attach to the center shelves with screws through the edges. Pre-drilling the holes is a good idea to prevent the plywood from splitting. Because the screws go into the shelves the length of screw is not critical. This was one of the first things I designed and I neglected to add dog bones to the corners so the rounded corners will need to be cleaned up with a file.